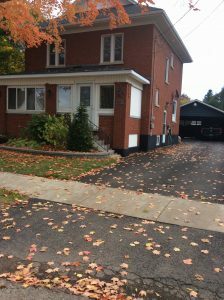 This end unit freehold townhouse offers just under 1700 sq ft. 3bdrm/2.5 baths/upper level laundry layout. Open concept kitchen/dinette/great room with sliders to rear yard. Still time to choose from Finoro’s quality interior finishes. Don’t miss out on this home…call Vikki today for more information. Property taxes to be assessed.